Ladies you are stunning and elegant women ready for any occasion at any time. 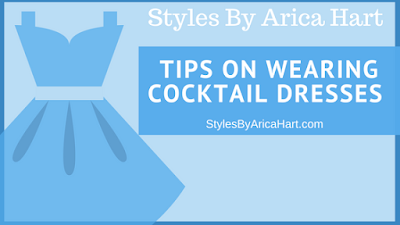 Let's take a journey in discussing some key factors and elements of wearing a cocktail dress with grace, dignity and style. I know you beautiful ladies can imagine yourself getting ready to go out for an evening, and having to decide what to wear. When deciding on a cocktail dress you must consider the type of event you are attending. You have to make decisions on the length, the way it fit , and the accessories to wear with it. Cocktail dresses come in various lengths. They can range from a few inches above the ankle to a few inches above the knee. The cocktail dresses worn in the 1920's, would now be labeled as evening gowns because of their length. Over the years the hemlines have become shorter. The cocktail dresses are now more fitting to the feminine body than the original one. The French designer, Christian Dior's premier cocktail dresses had a full skirt. A cocktail dress should vary with different body types. What looks great on one person may not look great on another. You should take in account the persons body shape;as well as, age. Emphasize your best features, but keep it classy. Cocktail dresses are not just for semi-formal parties in today's society. You can dress them up to step out for a night on the town with your man or you can dress them down. Either way, ladies stay Flamboyantly confident in your style. Have flair and Accessorize. 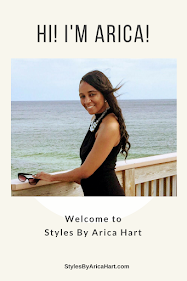 Accessories can make or break the look you are trying to achieve.You can change up the look of a cocktail dress by the type of jewelry , purse, and shoes you wear. Their are a variety of types of jewelry range from silver with diamonds to pearl earrings for a more semi-formal look. The right purse can set your style to a new level. A nice beautiful clutch purse that has a design on it that accentuates your dress and jewelry design will bring more elegance to a already glamorous look. Last, but not least, try some beautiful stiletto shoes to carry the style to the next level. There are so many beautiful shoes to try. Last, but not least rock your cocktail dress. Feel confident and step out in style. You know you make that statement when you walk in the room. Yes, that statement where your appearance says you are here before you even speak. Never let anyone limit your creativity. Be fashionable and remember your style speaks of you and your personality. Are you ready to rock your cocktail dress. I know you will look fabulous. Dress And Think Like A Boss. Have a blessed and enjoyable day!